8 February 2019. A miserable day weatherwise sees vehicle 64496 from 315813 emerge from Wolverton Works. 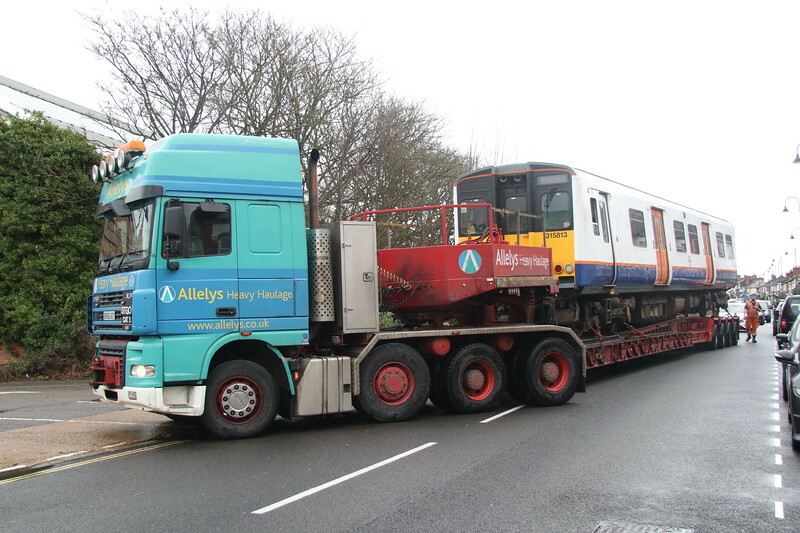 It is believed the vehicle has acted as a source of spares for the remainder of the 315 fleet at Ilford.